One of my grandma's favorite things about her garden is her huge fig tree. One day I asked her about the history of the tree, and she said it's over 50 years old! Back in the late 1950s her brother moved into a new home and his neighbor had this amazing fig tree. When talking to the neighbor, Grandma commented on his fig tree and said she'd love to have one someday. Right then and there, he dug up part of his tree and gave it to her. She planted it in her back yard and it just took off! I got a call from her last week that she had some figs already ripe and ready to eat. Usually they don't ripen until late in the summer, but with this year's crazy warm weather they were already prime for picking. She told me they were huge, some as big as lemons! I didn't believe her, so I had to see them for myself. They were HUGE! Grandma said she has never seen them get this big before. I was more than happy to take a few off her hands! Of course they are delicious eaten as is, but I wanted to try something different, so I found a recipe online for grilled figs. I grilled them on my indoor grill pan, then drizzled with local raw honey and spread on some dairy-free cream cheese. It definitely hit the spot. I still have so many figs that I don't know what to do with them! But of course that's a good problem :) Next I'm going to try my hand at drying them in the oven and maybe making some fig jam. Thanks again, Grandma! 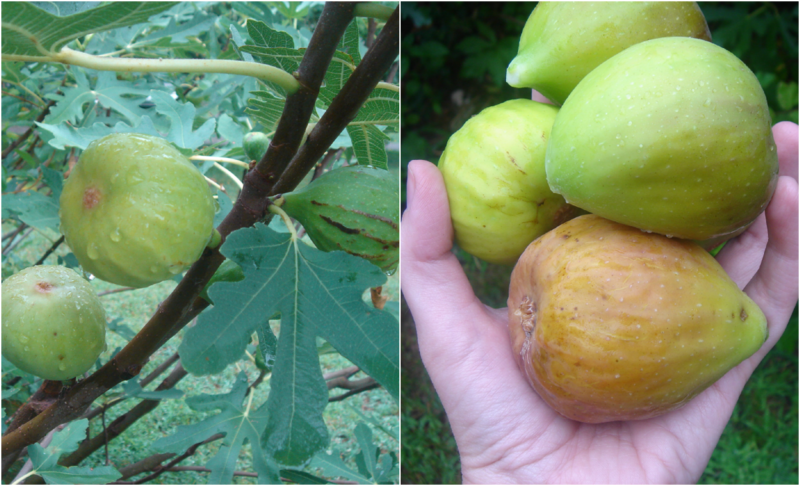 Thanks for exposing me to figs, so tasty! Your grilled figs recipe looks delicious :-). Let me know how making the jam goes! 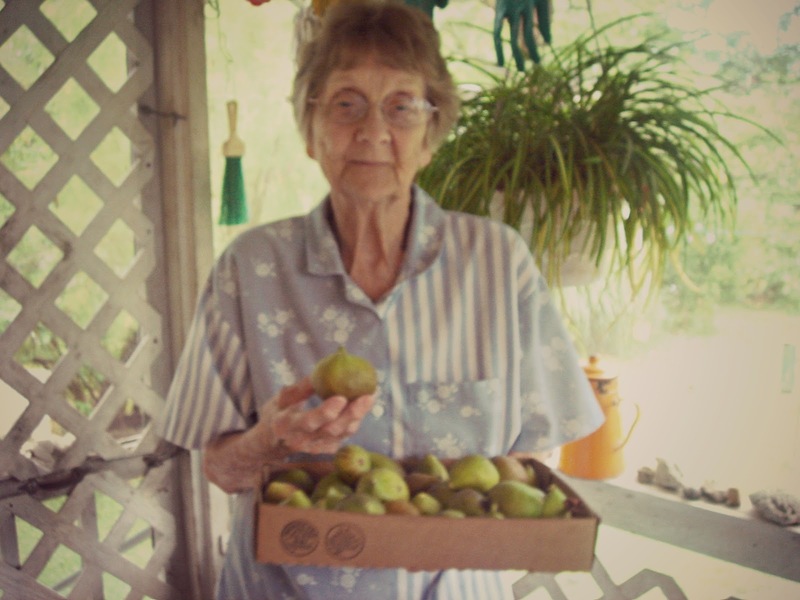 I'm glad you got a picture of grandma with her figs! I remember playing in her yard when we were kids and seeing the fig tree and having know idea what they were. I think i thought they were some kind on alien fruit or something! Haha, that's so funny! Did you ever try them? They're really good. Wonder if Silas would like them?